Being at work doesn’t necessarily mean that you are getting the job done! Employees waste lots of time on coffee and cigarette breaks, checking their social media accounts, and on personal conversations . 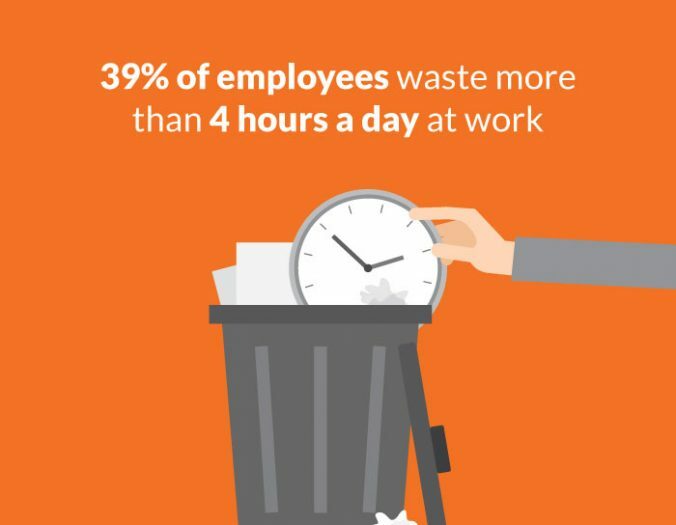 Akhtaboot’s latest infographic sheds light on the top time wasters at work.